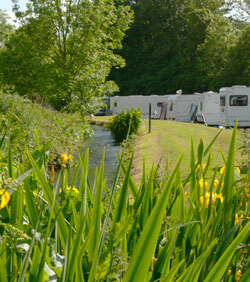 Our level set touring pitches vary in both size and functionality to tailor to your every need. Dependent on your requirements, we can help situate your pitch closer to the amenities to minimise walking distance. Otherwise, our campsite team will hand select your pitch from our fantastic range that we feel will suit your needs most and give you the best possible Lake District holiday. If you are unsure about our pitches and the facilities available to you, do not hesitate to call our office to discuss further with one of our park managers – who will help advise you to make the best choice for you and your Lake District holiday. Prices quoted are per night, include VAT, electric supply, showers and hot water. Electricity supply for tents is available but additional, please make arrangements with reception, preferably at the time of booking. Tent prices are dependent on the size of the tent - e.g. a one person standard size tent and/or the number of people occupying the tent. At time of publishing all prices and information are correct, however, we reserve the right to change our prices at any time. E&OE.